Localization of fluorescent receptors and its adaptor proteins within subcel-lular compartments has been made possible with fluorescence microscopy. The trafficking of receptors was initially studied by means of immunofluores-cence. This typically requires fixation of cells, thus excluding the possibility of being able to track receptors on their way to different intracellular compartments. 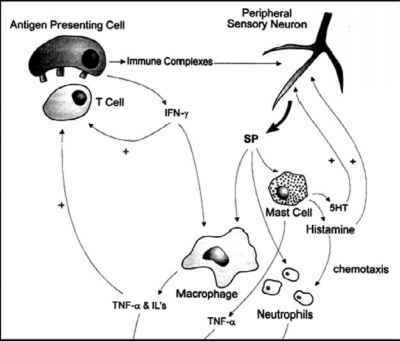 However, this approach helped pave the way for understanding basic mechanisms of receptor trafficking, particular internalization, and recycling . Fusion of GFP variants to the C-terminus of receptors in many cases did not measurably alter their function, and they have served as useful tools to study the fate of GPCRs. For this purpose, high spatial resolution is important, and therefore, either laser scanning confocal microscopes or fluorescence microscopes equipped with high- r esolution CCD cameras with or without spinning disks are frequently used. The tools to study targeting of receptors to subdomains of cell membranes are increasing more and more: the very recent introduction of novel microscopy techniques achieving sub diffraction-l imited resolution such as stimulated emission depletion (STED) [ 45] will boost our capabilities in visualizing receptor localization and function. If trafficking events in and out of the plasma membrane are of special interest, total internal reflection fluorescence (TIRF) microscopy provides the advantage of fast measurements with 100-300 nm resolution in Z-direction. For instance, the group of Mark von Zastrow very elegantly used TIRF microscopy to study P-receptor sequestration and recycling . Their work demonstrated that the receptor stimulated internalization through a subset of clathrin- coated pits and uncovered that the residence time of a clathrin- coated pit on the cell surface is dependent on its cargo .